Play to Win! The Insider's Guide to Casino Gambling offers a plethora of advice and tips that both the novice and experienced gamer will find valuable. Sam Micco, gaming instructor for the Las Vegas Hilton, hosts the instructional video. 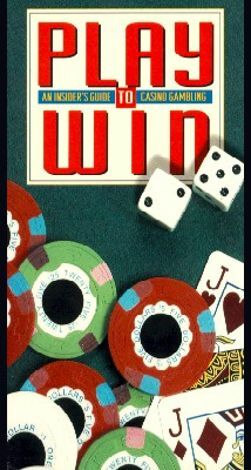 Detailed lessons cover basic rules and offer winning strategies aimed to help players narrow the odds. Key information appears in print on the viewing screen, enabling players to better comprehend some of the more complicated rules. The video provides specific pointers for winning at blackjack, roulette, craps, baccarat, and slot machines. A very comprehensive casino game guide, it allows anyone to get into the game.